skybow Tutorial: Send Email Action. 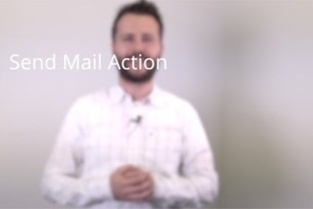 Matthias explains our skybow solution accelerator "Send Email Action" in this tutorial. Emails can be send with any SharePoint content. Possibilities of triggering this Action can be per link, periodically or, under certain conditions. The content and receiver are gathered automatically out the current metadata during the sending process. In addition to the email content documents can be added as attachments. With skybow Expressions emails can also be send to all the SharePoint and Active Directory groups. Both the CC as well as BBC functionality are added. The "Send Email Action" offers great value in the handling of notifications, because the appearance and the time of sending notifications can be designed freely. Contract Management: Reminder of the Contract Owner before the expiration of a contract or prior to an automatic extension of the current contract. Everything can be easily configured in the solution studio.